Queen of the Skies, originally uploaded by pmarkham. 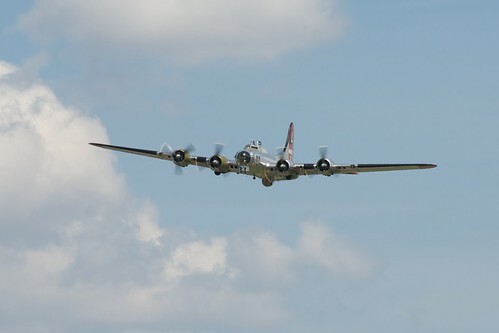 This B-17G Flying Fortress belongs to the Yankee Air Museum from Michigan. The Fortress is also very rare today. Of the 12,000 built, approximately 12 still exist in flyable condition today.